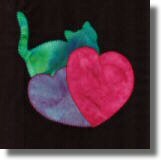 Here's a cute cat to applique just in time for Valentine's Day! Step 2: Cut each traced shape from the fusible web leaving at least 1/4" around each shape. Step 3: Place the fusible web shapes on the WRONG SIDE of your fabric and press into place with a hot iron. NOTE: I used batik fabrics and had problems with the grainy surface of the fusible web showing through on the right side of the fabric. I applied fusible interfacing to the back of my batik fabric first, then pressed the fusible web shapes on top of the fusible interfacing. Problem solved! Step 4: Cut the shapes out along the traced lines and remove the paper from the back of the fusible web. Step 5: Using the block above as your guide, place the shapes on the black background, tucking the purple heart under the pink heart, and the cat under both hearts. Using a hot iron, press the applique pieces to fuse into place. Step 6: Applique shapes using coordinating thread. I used a machine buttonhole applique stitch. 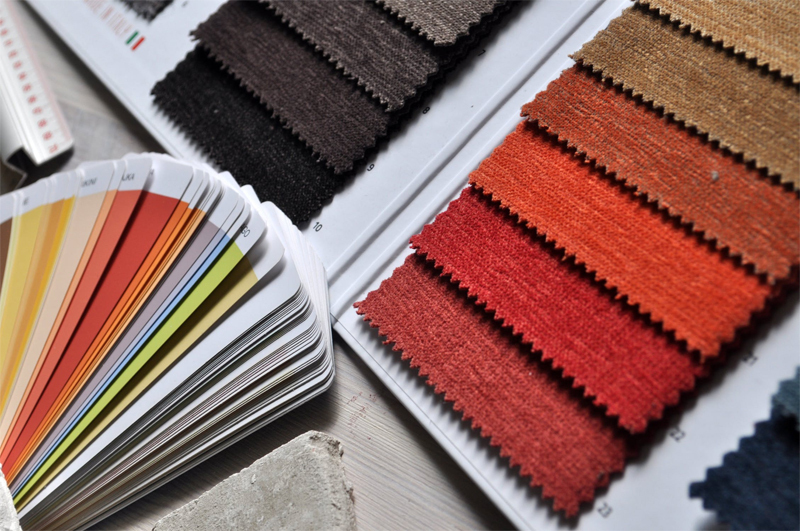 You can satin stitch by machine or buttonhole stitch by hand to finish the edges. Step 7: Once you have appliqued all of the shapes, trim the background fabric to a 6-1/2" square and you are done!